Learn the rules of design….yes there are rules which will help with all your designs. Don’t spend hours staring at your stone or a blank page in your sketch book any more. 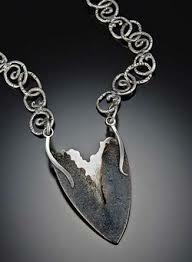 Learn how to use your ideas and inspirations and turn them into exciting, dynamic pieces of wearable art. 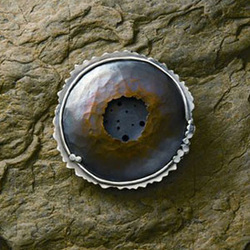 Feel free to bring cabs and stones to class and have her give you individual help with your design. Lots of personal attention and hands on in this class! Don’t forget to brig your sketchbook. While studying for an advanced degree in archaeology, Lexi wanted to learn about bronze, and how the Age of Bronze emerged from the Stone Age so she took a university level jewelry course to learn about bronze. The rest is history. Lexi earned a Masters Degree in Jewelry Design and Fabrication. Now that she's “retired” from teaching college archaeology and anthropology, Lexi has turned to teaching jewelery-making and world travel. 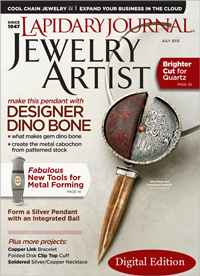 As a Contributing Editor of Lapidary Journal Jewelry Artist, Lexi writes numerous articles on techniques and tools. 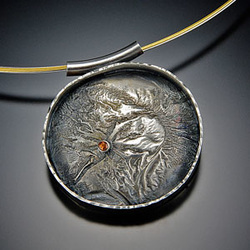 She writes frequently for Jewelry Making Daily creating six DVDs for Interweave Press, and written the book How to Solder Jewelry. 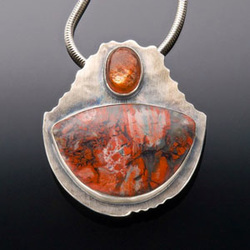 The award-winning jewelry artist and five-time cover artist for Lapidary Journal has taught workshops all over the world, and teaches one-on-one private lessons in her Denver studio. BoMA is pleased to present a series of classes and workshop with Lexi Erikson in 2016. Maximum sixteen students. All participants will be required to sign a waiver.